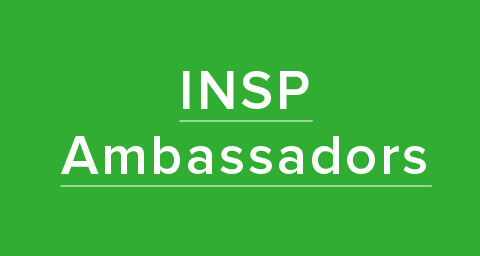 Every year, the INSP Awards celebrate the strength and innovation of our network. 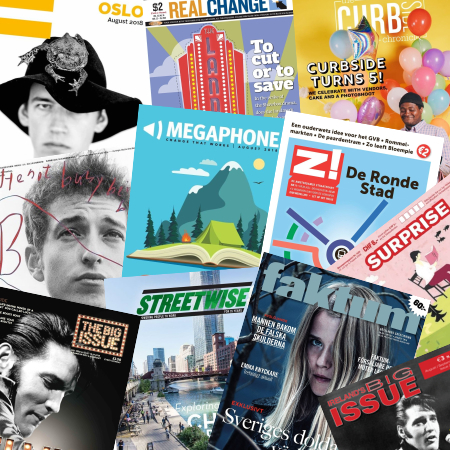 Our Best Breakthrough category is always one of the most exciting, as it reflects the extraordinary achievements of street papers worldwide. 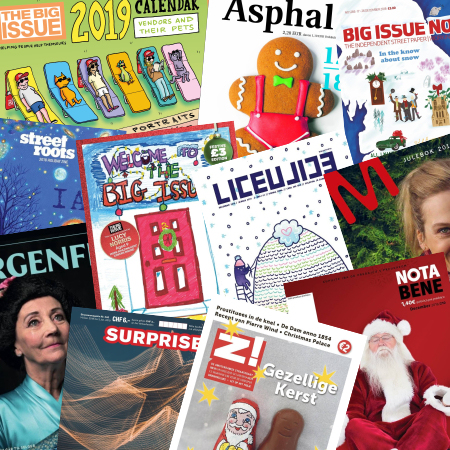 From an exclusive Papal audience to a vendor-led edition and expanding their reach with new regional and special editions, street papers world wide have been coming up with fresh ideas to boost their profile, sales and ultimately, better serve their vendors. 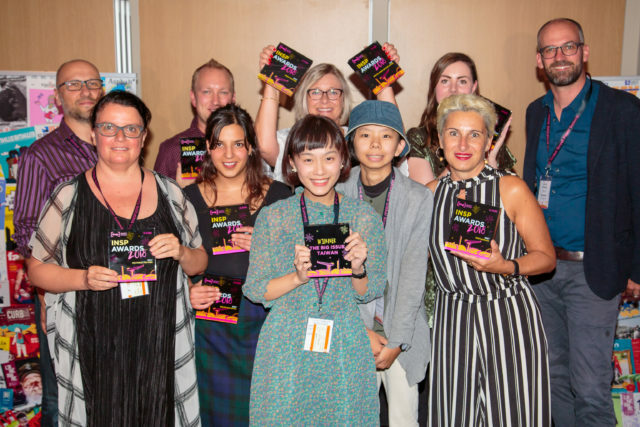 Our international judging panel has whittled down the entries to the five stand-out contenders below. Faced by challenges from other street papers in their area, and a sales decrease, Apropos faced a budget deficit in 2015. 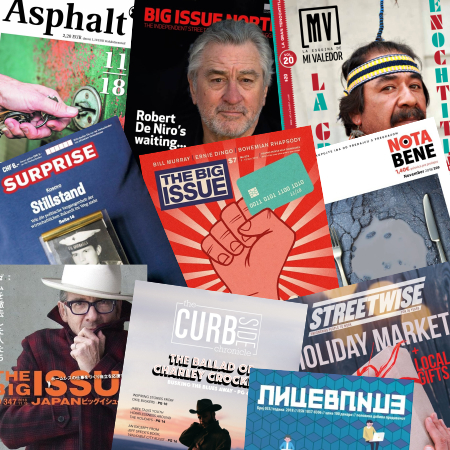 In response, they produced a low-cost, high-impact special edition of the magazine, bringing together their ‘Vendor meets writer’ profiles which have seen 41 vendors profiled by well-known writers since 2012. 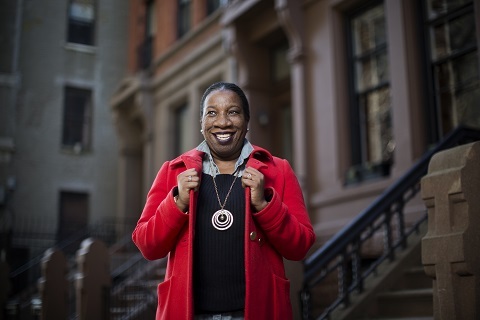 Through sponsorship and sales, the edition turned around their deficit. 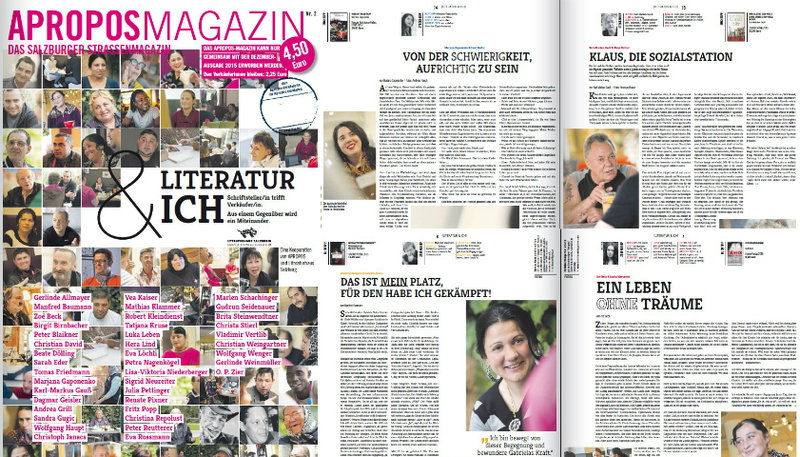 It also brought readers closer to the magazine, to feel part of the Apropos community. “Greater proximity, additional content, more people helped!” was the motto of the project to regionalise Asphalt. 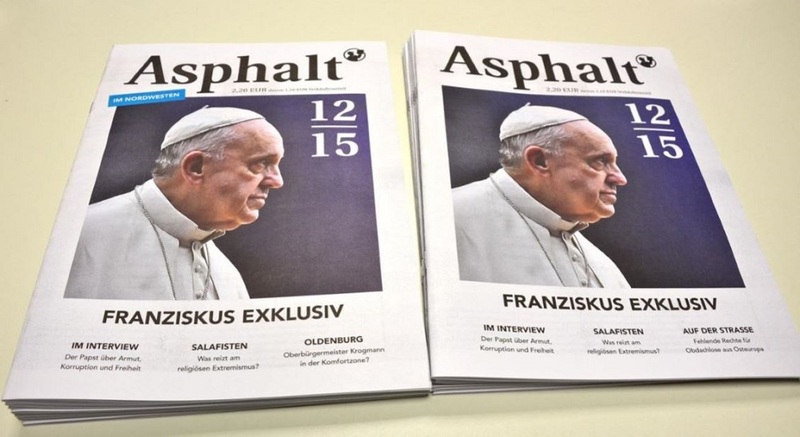 There are now two different editions of the paper, Asphalt (in the Hanover area) and Asphalt Nordwest (in the region around Oldenburg). 20% of the content of Asphalt Nordwest is specific to the north-west region. After raising awareness for the project with Asphalt information stands and interviews in the local mainstream media, sales are growing. 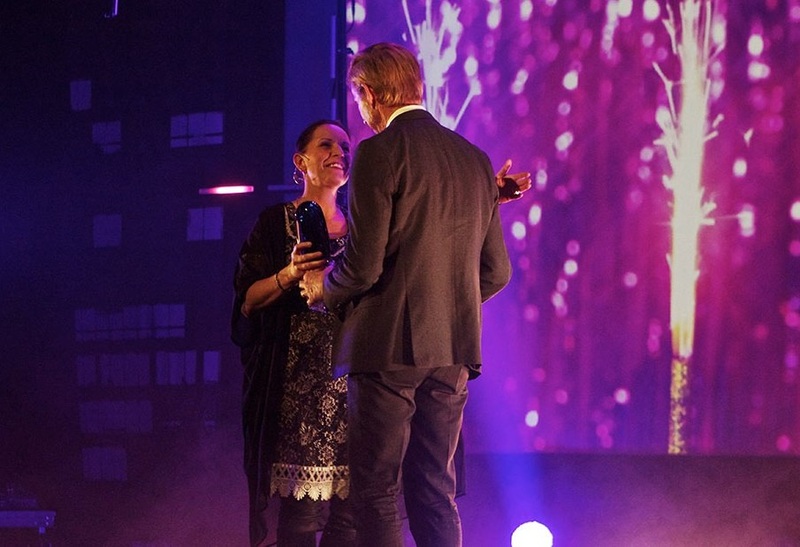 The Faktum gala recognises the people who are fighting homelessness and other social issues in Sweden. The 2016 edition was the biggest triumph so far. The sold-out show took place at the 600-seater Stora Teatern, in Gothenburg. 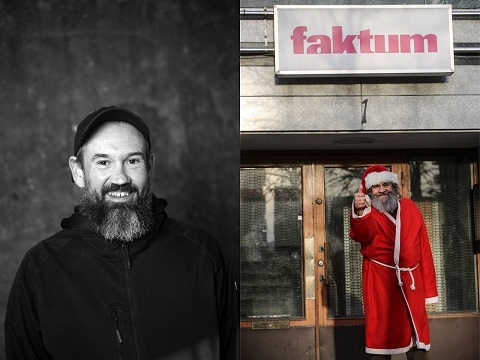 Most of the winners are chosen by a jury of politicians, artists and journalists – chaired by the street paper’s editor, but vendors decide on the winner of the Faktum Award recognising the person or organisation that has helped them most during the year. 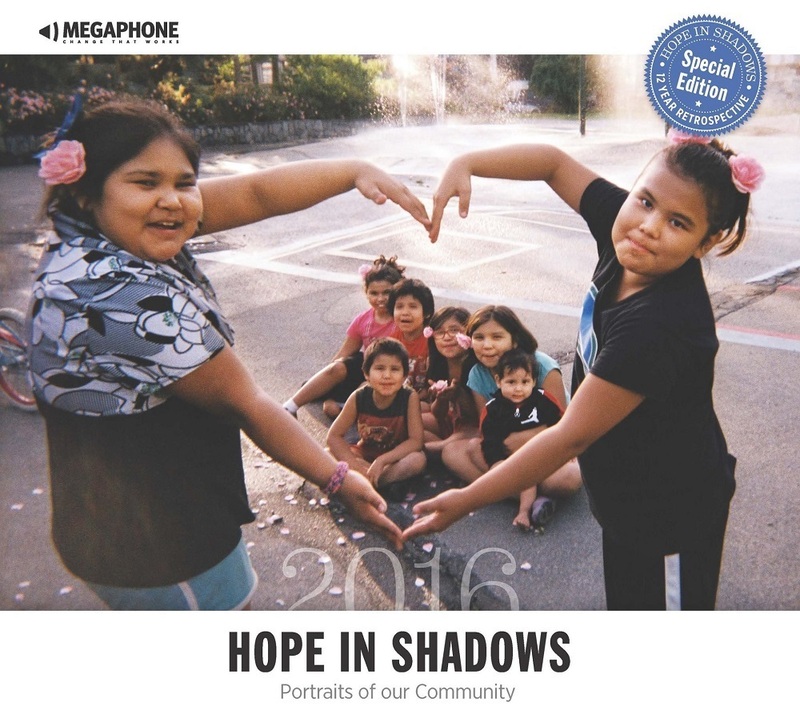 Last May, Megaphone undertook a huge expansion, to take on the Hope in Shadows (HiS) calendar project. 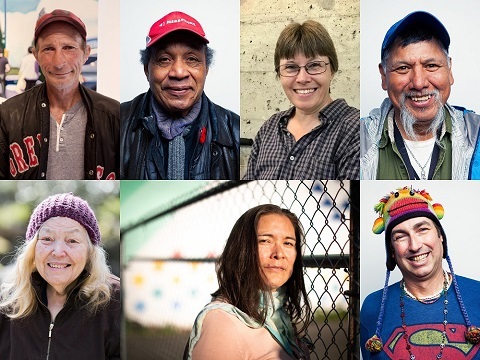 HiS allows residents of Vancouver’s stigmatised Downtown Eastside to tell their own stories through a photography competition. The winning photos are made into a calendar which is sold by Megaphone vendors. The project more than doubles the number of vendors Megaphone works with, and has a huge impact on vendors’ incomes – giving them an important income boost. 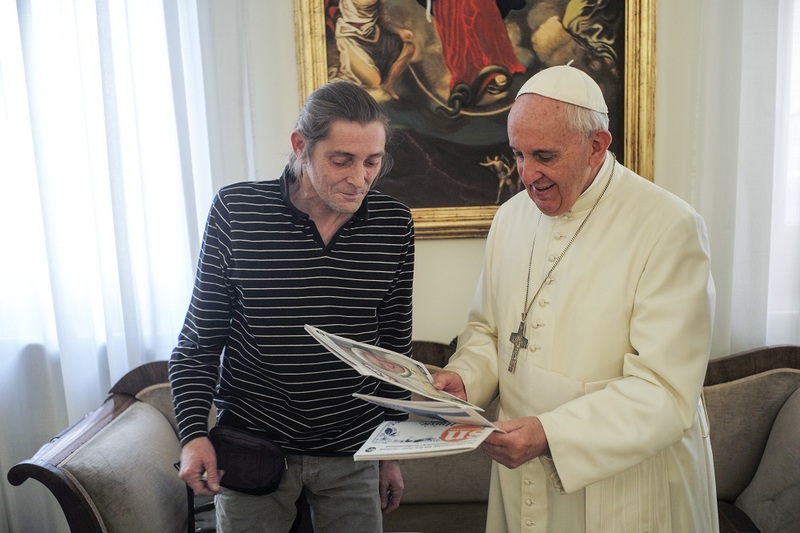 Through a partnership with Dutch journalist JW Wits, Straatnieuws obtained an interview with the Pope on behalf of the INSP network. 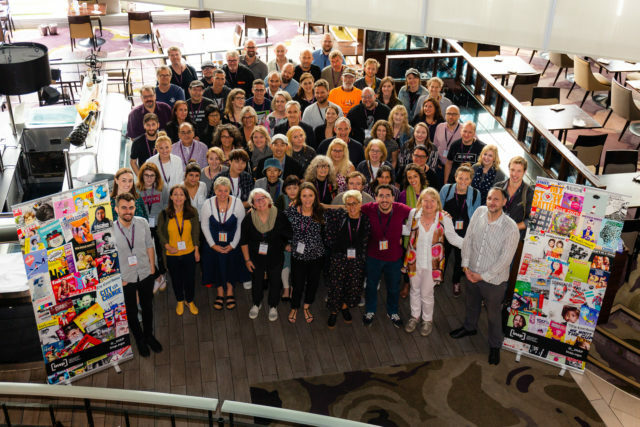 The street paper worked on a media strategy, putting a team in place to cope with the expected attention and breaking the news on 6 November in collaboration with national paper TROUW, local television RTV Utrecht and INSP. 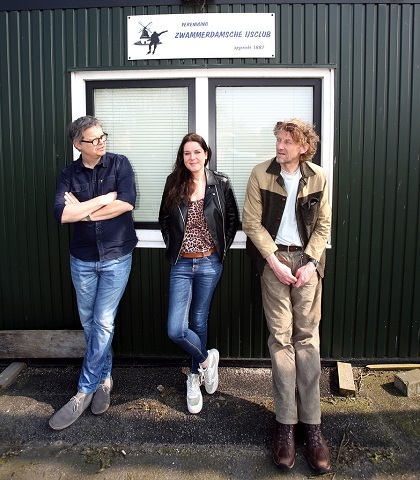 Straatnieuws sales tripled, vendors had a confidence boost and the free publicity was estimated to be worth €850.000. 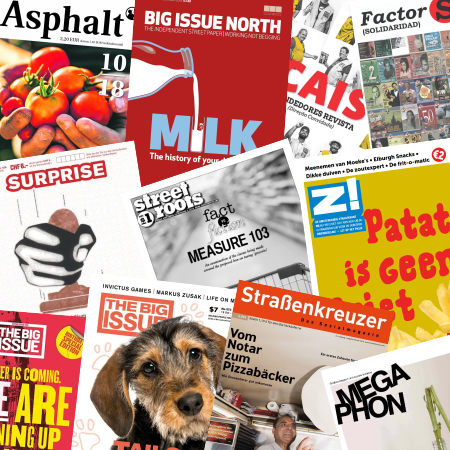 Three Dutch street papers – Amsterdam’s Z!, Utrecht’s Straatnieuws, and Haags Straatnieuws in The Hague – have joined forces to create shared content in each of their publications. The eight-page section, titled STOEP, is just the latest move towards regional collaboration within the street paper network. 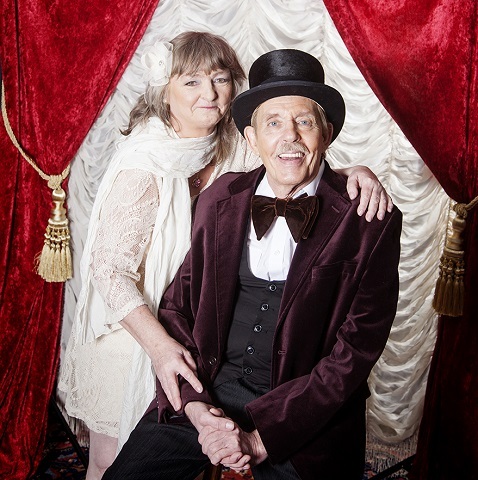 Last year, Swedish street paper Faktum wrote about two of its Malmö-based vendors, Birgitta and Vincent, who had decided that they would have a Las Vegas wedding. It was a portrait of two people, together for 37 years, who love each other deeply. They spoke about their relationship, their work as vendors and their excitement about their imminent nuptials. 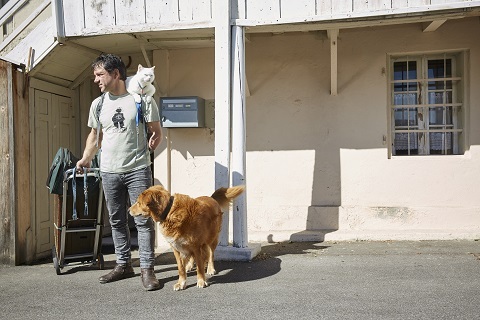 This year we asked vendors: if you could give a song as a present this Christmas, what would you choose? The result was the INSP Vendor Playlist, which is now available for your listening pleasure. Faktum vendors Bernhard and Carlos talk about their distinctive choices. This year we asked vendors: if you could give a song as a present this Christmas, what would you choose? The result was the INSP Vendor Playlist, which is now available for your listening pleasure. 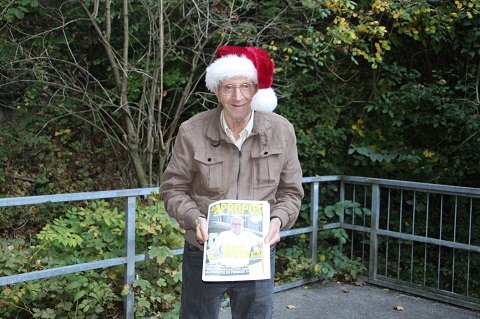 Apropos vendor Eduard wants to give the gift of Bavarian yodelling this Christmas. 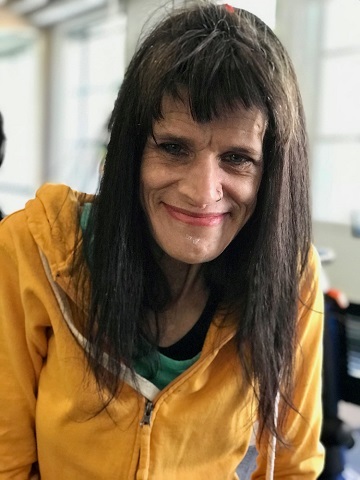 When we hear from vendors, it is usually to learn more about their experiences with homelessness and how working as a street paper seller has helped them. But vendors do all sorts of outstanding, inspiring things that we might not know about. 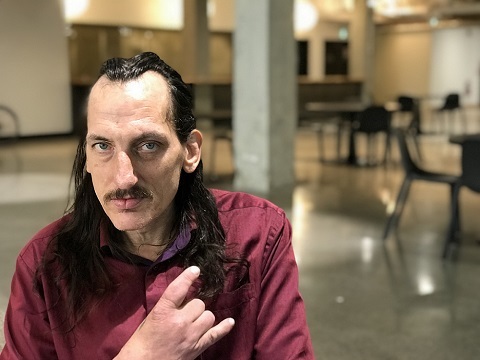 Gerald “Spike” Peachey aims to use all of his experiences from the streets to help build a city where everyone can live their best lives by running for councillor in Vancouver’s civic election later this month. He sets out the reasons why the people in his district should vote for him.